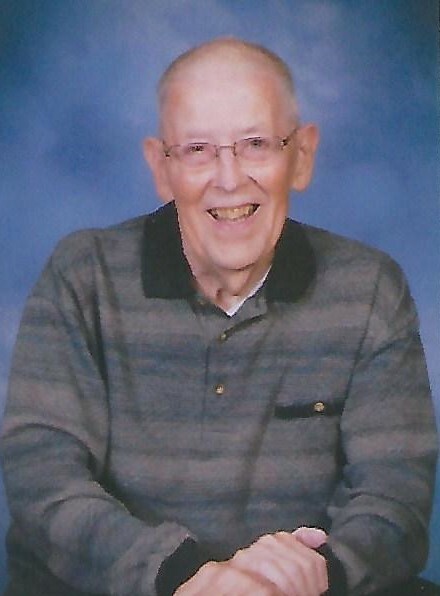 Gerald Lee Ferguson, Sr., age 83 of Troy, passed away September 10, 2018 at Koester Pavilion. He was born November 8, 1934 in Troy to the late Van Ferguson, Sr. and Ruby (Williams) Ferguson. Gerald is survived by his daughter Bonnie (Von) McKee of New Carlisle; two sons: Patrick Ferguson of Larville, IN and Gerald Lee Ferguson, Jr. of Bradford; 10 grandchildren; 13 great-grandchildren; two great-great-grandchildren; and sister Susie (Bob) Rosen of Carmel, IN. He was preceded in death by his wife Mary Lou in April 2008 and brother Van Ferguson, Jr. in 2006. Gerald was a 1952 graduate of Troy High School and a member of First United Methodist Church in Troy. He was also a member of Troy FOE Eagles #971 and the Troy Moose Lodge. A funeral service will be held 10:30AM Friday, September 14, 2018 at Fisher-Cheney Funeral Home, Troy with Pastor Ty Williams officiating. Visitation will be from 9:30AM-10:30AM at the funeral home prior to the service. Interment will follow in Miami Memorial Park, Covington.